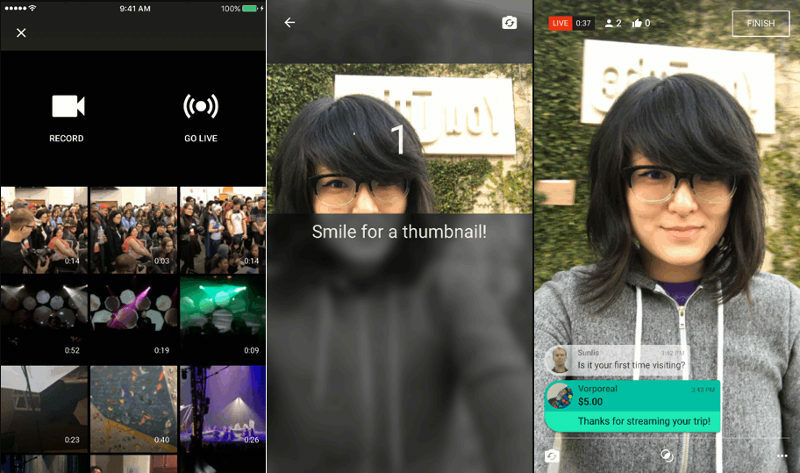 YouTube today opened mobile live streaming all content creators with more than 10,000 subscribers. It will soon be available the rest of soon said the company. YouTube mobile live streaming was announced last June at Vidcon event in California to take on FaceBook Live and Periscope. You need to just tap the capture button within the YouTube mobile app, select a thumbnail, pick a title and go live. To help creators earn revenue from live streaming, YouTube has launched Super Chat, a new live stream monetization tool available to creators in more than 20 countries – including the U.S., the U.K., Canada, Australia, Brazil, France, Germany, India, Japan, South Korea, Spain and Mexico and viewers in more than 40 countries. Super Chat is like paying for that front-row seat in the digital age: it lets any fan watching a live stream stand out from the crowd and get a creator’s attention by purchasing chat messages that are highlighted in bright colors and stay pinned to the top of the chat window for up to five hours. Super Chat gives viewers a chance to add a little visual flair to their chats and gives creators a new way to keep connected to their fans while earning a little money on the side.